Melt chocolate sauce in the microwave until it is pourable, about 30 seconds. 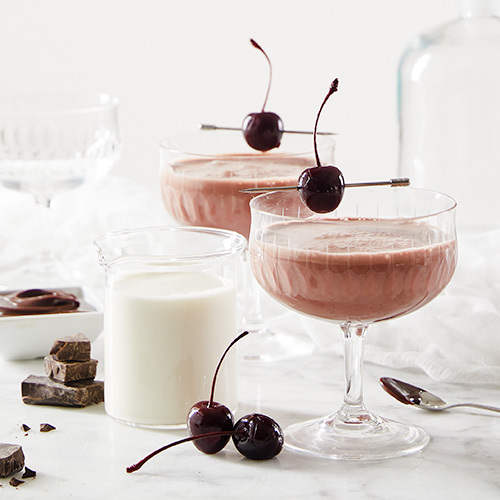 In a cocktail shaker filled with ice, add bourbon, cherry juice, cream and chocolate sauce. Shake vigorously to incorporate the chocolate sauce and froth the cream. Strain into a chilled coupe glass.